The entire staff was courteous, efficient and professional. The only reason for fives in the rating system is because there aren't sixes. Jeremy, Rita, and the reception staff were consummate professionals every step in our care. The initial inquiry was promptly answered, Jeremy was freely accessible by phone and e-mail. An appointment was available on short notice when my son had a day off from school and the process was outlined thoroughly so there were no surprises or hitches. 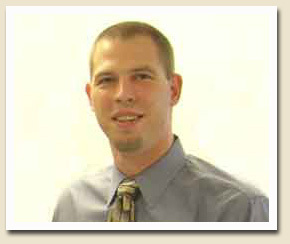 Jeremy demonstrates a mastery of his craft that assures patients they are in capable hands. The mask is well made, protective, and perfectly fitted. He took time to explain everything and answer any questions. The entire staff was courteous, efficient and professional. I have nothing but the highest regard for the entire process and will unreservedly recommend your services to Garet's treating surgeon, as well as anyone who may have similar needs in the future. Thank you again. Jeremy and Rita are true heartfelt professionals. We would like to extend our sincere thanks to Jeremy and his assistant Rita at the Michigan Hand and Sports Rehab for their help in making a custom face mask for our son. Jeremy and Rita are true heartfelt professionals. The services they provided were quick, accurate, and genuine. Jeremy responded immediately to our e-mail and had Rita set up an appointment with us within the same week. Colten was so excited; he could not wait to meet Jeremy. Jeremy spent valuable time listening to Colten and examining him to understand exactly how a mask should be created to protect our son's nose and forehead without placing any pressure on his titanium plates that holds our son's forehead together. Our son underwent two 16 hour surgeries to remove a tumor from his skull base which is why we absolutely needed the best mask possible to protect our son while allowing him to have clear vision to see his wrestling opponent. We feel very blessed that Jeremy has this talent to create custom face masks allowing individuals to safely participate in their sport. We cannot say enough about Jeremy, our experience was awesome. We highly recommend his expertise. I would strongly recommend them to anyone who needs face proctection. Jeremy and his staff at Michigan Hand & Sports Rehab Centers went out of their way to assure that I received excellent service in a very short timeframe. I broke my nose on the last day of training camp, right before the first game of Slamball and I was worried about missing any games. After I visited my doctor, he instructed me that the only way I could play Slamball was for me to wear a protective mask. Jeremy gave me his personal cell phone number and did everything in his power to make sure that I got a custom made nose guard prior to tip off of the first game. I was amazed that he overnighted the molding kit for me to make a cast and then overnighted the actual plastic mask that I used in all the games I played for the Hombres. Not only did I get the mask with an extremely quick turnaround, it worked phenomonally. It was very comfortable to wear and prevented me from having future injuries. Slamball is a very high-impact sport with a high potential for injury and I felt safe with the mask that Michigan Hand & Sports Rehab Centers provided me. I would strongly recommend them to anyone who needs face proctection. I just want to thank you again for all you and your staff did for Gabrielle and us. She loves her mask and it is working great!!! It is wonderful to see her play with no inhibitions or worries about getting hurt. She is even playing on an AAU Michigan Roadrunners travel team along with our local travel team. The product is awesome, and the staff is even better. A winning combination. The mask has become part of me; part of my uniform. I am 13 years old, and I have been playing girl's basketball, in different leagues, for many years now. After breaking my nose more than once during games, I was thinking about the possibility of not having the sport I absolutely love, in my life. It really was a distressing time for me. Then I heard about this custom made "mask" being worn by the pros. I did some research on the internet and found the man that makes these masks; Jeremy Murray from the Michigan Hand and Sports Rehab center. My prayers were answered and I am back in the game! The mask has become part of me; part of my uniform. 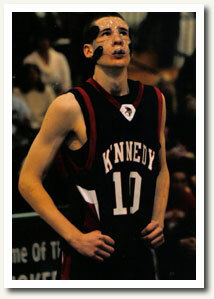 During games, my face really takes a beating and with the mask on, I do not even blink. I no longer realize the pummeling my face takes because of the protection that the mask gives me. The great part is that I did not have to fly to Michigan to have the mask made. I had my orthopedist, Dr. Douglas Avella, make a mold of my upper face and I shipped it off to Mr. Murray. That was it! Done! The mask came back a perfect fit, and I feel alive again! As corny as it sounds, having this protective face mask that fits "like a glove" has truly been a gift from above! Thanks Jeremy Murray!! I am very thankful for Jeremy’s help and would recommend him to anyone. Life after my injury has been a rollercoaster. At first I was certain I was going to play field hockey again. I thought I have gotten through this injury what could possibly stop me now. However, as time went on the motivation to play lessened. The doctor’s weren’t even considering the question; what if I played again? They told me I would have to wear a protective mask of some sort every second I was around field hockey play. 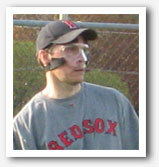 In my experiences with field hockey, not many players wore protective facial equipment. Therefore if I chose to continue playing I would be different than everyone else. This idea of a mask made me nervous to start playing. My mom started to research different types of masks. She came across Jeremy Murray. It seemed too good to be true when he said that he has done facial masks before! After receiving and trying on the masks he made for me I was sure about playing. I tried out as a freshman at Cabrini College and made the team. The mask has created more reassurance while I am playing. I am very thankful for Jeremy’s help and would recommend him to anyone. Jeremy was our answer after some research I found his skill set, product, and references fit our need. As a parent I am so happy to have found Jeremy and have a new found sense of security for my son who was struck in the face-head by a bat during an open gym. Yes it is hard to believe. As he was healing from multiple facial fractures and a concussion I needed to be assured we could protect him in sports, specifically baseball. Jeremy was our answer after some research I found his skill set, product, and references fit our need. My son has surpassed the fear of repeat injury with his protective mask and it has already deflected a foul ball. As a pitcher I was always worried about a hot shot to his face and as a short stop he had taken balls in the face before. I believe our son is alot safer now and he will play with confidence while I watch with confidence as a proud parent of a safe child. My mask is working very well. I was excited to get back to baseball without the fear of getting hit in the face and getting hurt. The process was very quick and efficient. I was amazed how strong and light my mask is. After getting the mask I went to play baseball right away and it did not affect my vision or my ability to play. Thanks so much for the mask! The mask fit perfectly and I played with it for the rest of the season and throughout the playoffs. My name is Kayleigh Summers and I am a senior at Bishop Eustace Preparatory School in Pennsauken, NJ. For the past fourteen years, my true passion has been playing soccer. During a soccer game in late September, my nose was broken in sixteen places after an opposing players’ knee slammed into my face. I was told that I wouldn’t be back on the field for 6-8 weeks, which was devastating news. I was the senior captain on the returning state championship team and to think I was out for the season was more than I could take. Fortunately, I received a call from a member of the boys’ soccer team who told me about the possibility of getting a mask made by Mr. Jeremy Murray at Michigan Sports & Rehab Center. I was so excited that I had my mother contact Mr. Murray immediately. After that first phone call, things moved very quickly. Mr. Murray walked us through, step by step, everything we had to do in order to get me back playing. Because I live so far from Michigan, Mr. Murray researched where I could have my mask template made, while also researching the New Jersey State Athletic Association’s rules and regulations for masks. The entire process went so smoothly that I was back on the field in just 3 weeks. Mr. Murray’s instructions on wearing and adjusting the mask were thorough and easy to follow. The mask fit perfectly and I played with it for the rest of the season and throughout the playoffs. Mr. Murray was in constant contact with my mother and me even after he knew that the mask fit. Although Mr. Murray never met me, it was obvious how much he truly cared. My senior soccer season was saved because of Mr. Murray and I can now look forward to playing at the college level. I can’t thank him enough for getting me back on the field.